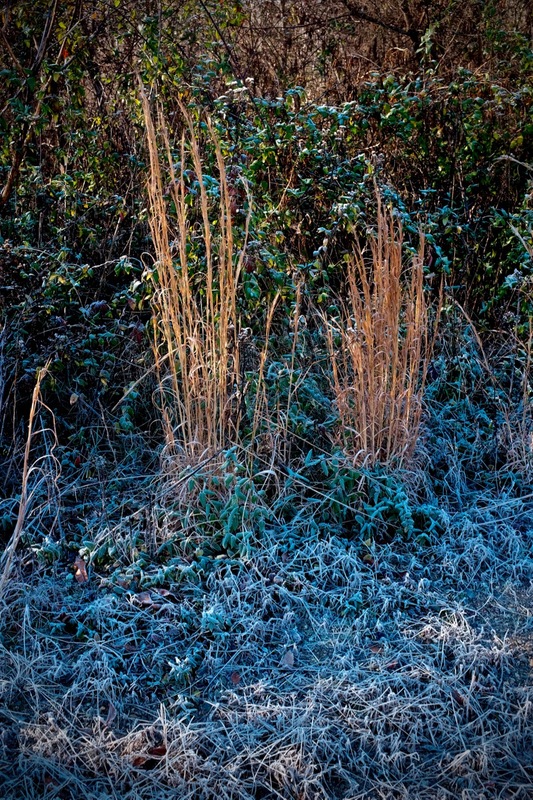 I decided to take a morning walk before the temperatures warmed up a bit, and was rewarded by some nice “frosty” scenes. 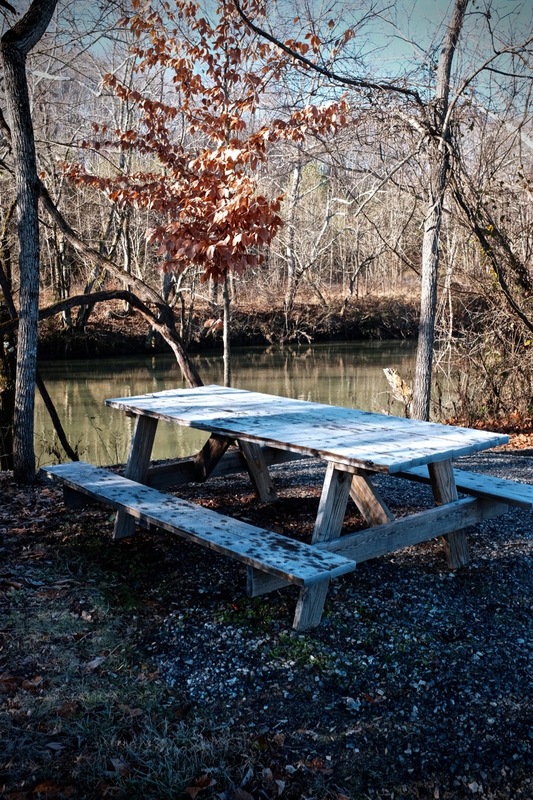 The frost covered picnic table near the Smith River in SW Virginia made me wonder how many folks had sat there when fish were biting and the water was warm. Sort of a lonely scene now, but nice regardless. 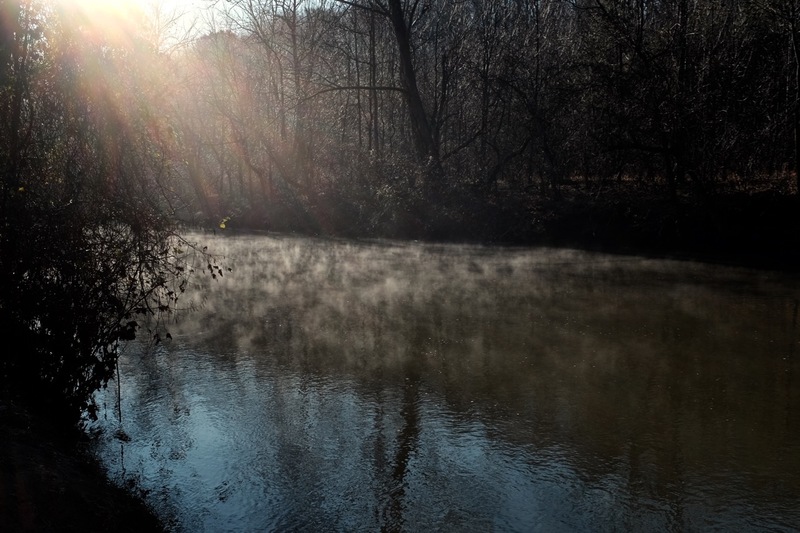 I also liked the “steam” coming off the river with a sun flare in the upper left of the composition. 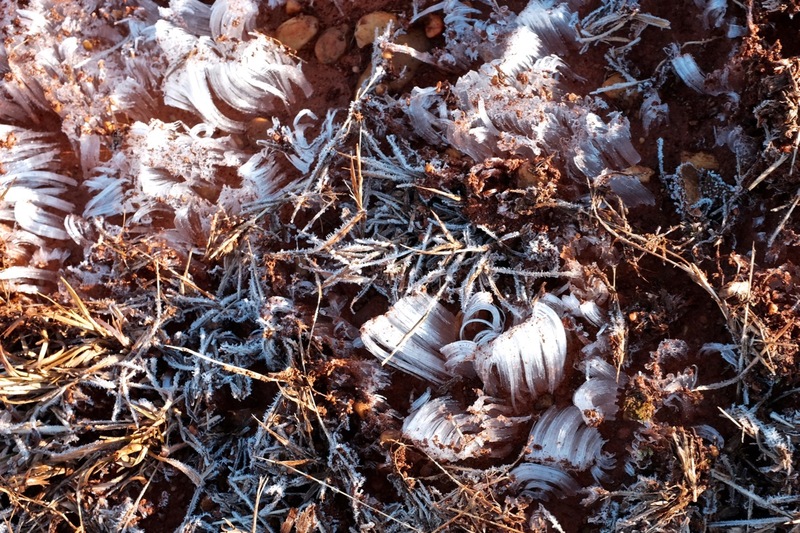 Lastly, ice crystals in the wet ground were another reminder that its cold outside.